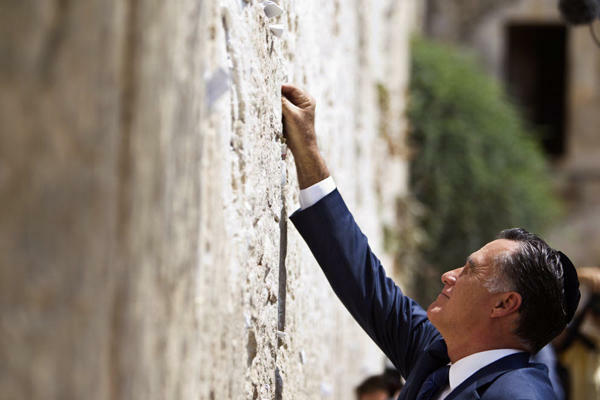 Mitt Romney did himself no harm in Israel this week. The claims of some that Obama is anti Israel, a charge I usually ignore, are bolstered by the fact that the President has not visited Israel as Commander in Chief. In the weird world of diplomatic appropriateness that can only have been a deliberate snub. On a personal level Romney's visit would not have made me want to vote for him more. I disliked his attempt to portray himself as more sympathetic toward an Israeli strike on Iran than Obama. On this question, I find the Republicans to be full of bravado and bluster as if the only issue at hand is having the will to bomb Iran. If it were merely a question of having the will to take out Iran's nuclear sites it would have been done by now either by the Bush administration or the Israelis. 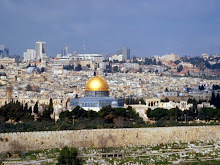 The truth is that neither the Americans or the Israelis have the definitive capability to do so and the decision of whether or not to attempt it should be based on several geopolitical, security and strategic factors. The decision should not be made because the other kid in the school yard is double daring you. The Right to Bear Arms ??? On the issue of gun control and the second ammendment, is it possible that it's all just a misunderstanding. The Presidential election at this stage appears to be in a place where both sides are extremely cautious. Romney seems to be playing it cool and waiting for any hint of an Obama gaff before pouncing. Once such gaff came this week when Obama made a comment about business owners not being solely responsible for their success. It has played right into the hands of those that claim the President is hostile toward the private sector. The Obama team responded with a video that adresses the controversy directly. Forward is the theme of the reelect Obama campaign. I suspect this is how the Presidential election will prod along for the next two months or so until things heat up in the final weeks. Obama will wait for any opportunity to expose Romney as an uncaring billionaire who is miles out of touch with the ordinary man. Given Romney's wealth he will likely get the chance to do this. Romney will counter by portreying the President as a man hell bent on introducing the welfare state to America which is essentially an unamerican concept. Unless a major international issue flares up, which is quite possible, I think the campaign will be predictable and boring. 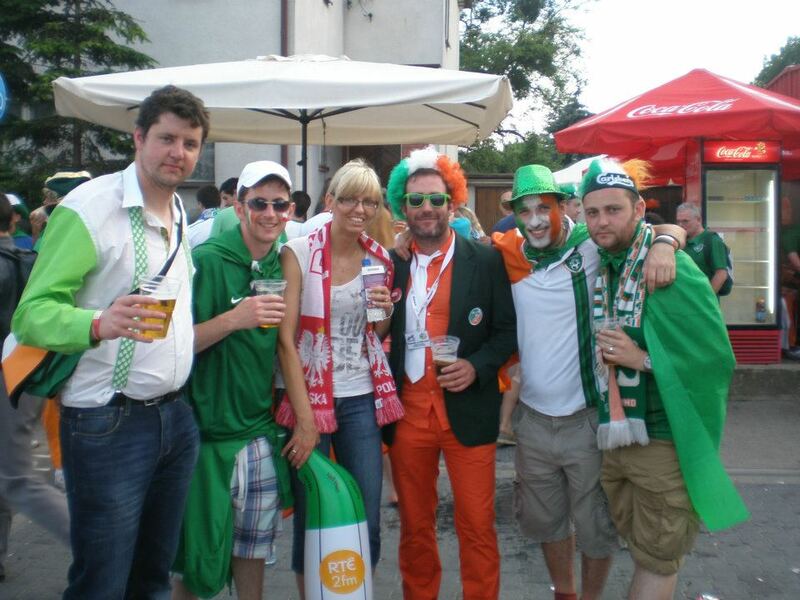 That's me on the left, looking a bit tired and emotional before the Italy V Ireland Match in Gdansk on June 18th. Hello everyone. Apologies for my longest hiatus to date. I have had quite an eventful month. On the 10th of June I traveled to Malaga Spain to attend the wedding of a good friend of mine. After four days partying hard I flew from Malaga to Gdansk via Berlin for Ireland's second match of the European Championships. I had an amazing time in the Northern Polish city famed for its ship building and its association with the 1980's solidarity movement led by Lech Walesa. Unfortunately the result against Spain was catasprohic as ireland went down Four nil against the world Champions. From Gdansk we drove in our camper van to Poznan in Western Poland. I have many interesting photos from Poznan which I will share with Gubu World readers in the very near future. Anyway results didn't get much better in Poznan as Ireland went down 2:0 to the Italians ending our involvement in the tournament. I take some comfort from the fact that Spain and Italy would eventually become the two finalists but seeing Ireland concede six goals and score none was not easy. After Poznan I took a train to Krackow for my flight home to Dublin. I considered visiting Auswhich concentration camp whist in Krackow but decided against it because of my hungover and dichevelled state. I honestly felt that I just wasnt't mentally prepared for it. I arrived home in Dublin later that day but I had little time to recover as a couple of days later I had to drive down to Cork, to catch a flight to Bordeaux for my sisters wedding. The wedding was like a fairytale. We had a Chateaux all to ourselves for a week in what I think is the most beautiful part of France. But as you can imagine, after two foreign weddings with hard partying family and friends and a trip to Poland with 20,000 Irish football fans I am feeling a little bit tender. Before my trip to Spain I had been working on designing my own blog after finally loseing patience with blogger which seems to have cracked up altogether. Posting videos has become impossible. Finalising my new blog may take another week. But I just want to assure everyone that I have not in any way lost the appetite for blogging. Expect much more to come.